On 1st February 1992, the Million Years Stone Park and Crocodile Farm was opened to tourists and the general public for the first time. Since then, new decorations and things of interest have been added to the Park continuously. Furthermore, amusing and thrilling performances have been held regularly, including daily shows of men fighting with adult crocodiles bare-handed, making the Park a famous tourist destination of Thailand, attracting thousands upon thousands of visitors, both Thais and foreigners, every year. Our Photographer Tom Howell, who we sent along to the show said: ' The Crocodiles are large big toothed and very angry crocs, They all look mean and ready to eat someone. 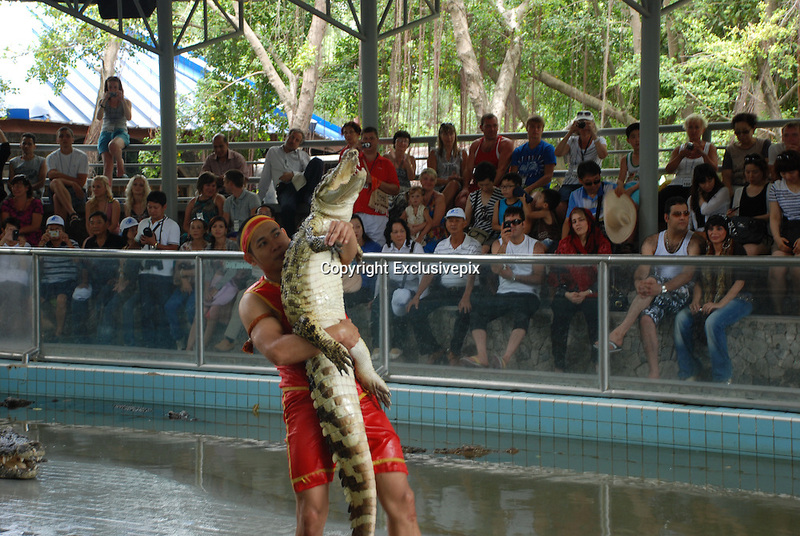 Its quite amazing how the thai performers drag the crocodiles from there pit and make them do stunts. At one point he ran and slide across the pitt and straight into the jaws of an opened mouthed huge crocodile"